Out of all the many exciting things to do this summer in the Poconos, one of the season’s must-visit events is Wally Lake Fest! Now in its ninth year, this highly-anticipated festival features over 60 fun-filled activities and opportunities to enjoy Lake Wallenpaupack and the surrounding town of Hawley. While you’re planning your summer getaway to Pennsylvania, here is everything you need to know about Wally Lake Fest and how to get the most out of your experience. Thinking about attending Wally Lake Fest this year? While you’re here, don’t forget to stop by Hawley Silk Mill, a vibrant and historic lifestyle center! This is the perfect spot to take a break from the summer heat, indulge in freshly baked treats from the Mill Market Bakery, or rejuvenate with a cup of coffee from the Cocoon Coffee House. For nearly 10 years, Wally Lake Fest has been one of the most popular Lake Wallenpaupack festivals among locals and visitors alike. This August 24th-26th, our beautiful town in the Poconos will come alive with dozens of activities such as live music performances, and artisan fairs. Here is a look at the schedule for this year! 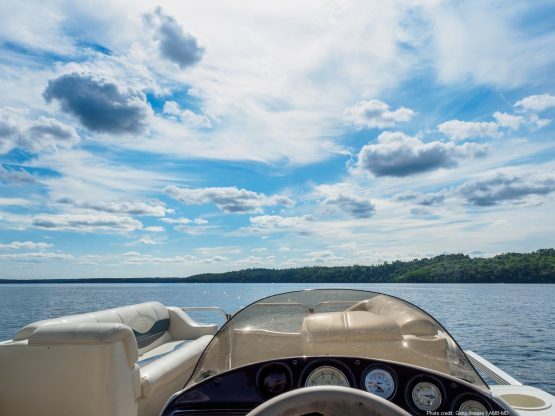 Learn the history of our charming lake region during this 50-minute guided boat tour on Lake Wallenpaupack. Prices are $16 for adults, $15 for seniors, and $12 for children. Stop by Bingham Park and CJR Memorial Park for fresh and delicious local produce. Enjoy live music performances by Magnetic Attraction, a hula competition, and prize giveaways in the luau-themed bar at The Dock on Wallenpaupack. Join us at The Settlers Inn for a foot-tapping performance by Spencer & Nancy Reed Quartet. An elaborate prix fixe BBQ buffet is also available for $39. There is no cover charge for music and cocktail service. The newest play by Michael & Susan Parker centers on the Lovers’ Landing Hotel, confusion, a few mix-ups, and the hilarious Madame Coco. It’s a fabulous play by the Ritz Playhouse that you won’t want to miss. Admission is $15 for adults and $10 for seniors and students. Start your day off right with a refreshing yoga session or class on the water with the Recreation Center at Silver Birches! Classes are just $10 per person. Kayak and SUP classes begin at 10 am and yoga classes start at 9 am. Take a stroll into Downtown Hawley and enjoy the small town charm and big city culture that we are known for. As you’re browsing through the shops or dining in one of the many restaurants, you can also partake in “hometown” games hosted by several local businesses throughout the day. Held at the Lake Wallenpaupack Visitors Center by the Chamber of the Northern Poconos, this popular event features pottery, painters, emerging artists, organic goods, wood crafts, photographers, local jewelers, and much more! Learn how to fly fish like a pro…from the pros! You’ll be instructed by board members of the Pennsylvania Fly Fishing Museum. Map & Registration available online or call 570-226-3865. A lunch voucher and a T-shirt will be provided. Ride for the Lake registration will begin at 10am on Saturday, August 25th at Wallenpaupack Area High School. The ride benefits the Lake Wallenpaupack Watershed, a nonprofit that is responsible for the overall health of Lake Wallenpaupack. This is your chance to see and even climb aboard the latest in watercraft, pleasure, pontoon, ski and wakeboard boats. A BBQ food truck and free face painting will also be available. Browse among a wide variety of gifts, crafts, foods, keepsakes, art, and so much more. Dozens of crafters, local artisans, and shops will be showcasing their treasures at the Wallenpaupack Area High School. Join us at Hawley Silk Mill for an indoor and outdoor shopping experience with artisans, crafters, local food, bakery sale, and free tastings. Don’t forget to grab a drink from the Mojito Ice Bar! Hosted by NE Wilderness Experience and Sawmill Cycles, you’ll have the opportunity to enjoy on and in-water trials, demos, and more with kayaks and stand up paddleboards. If you’d like to take a break from the sun, this is it! Stop by the historic Dorflinger Factory Museum for glass engraving demonstrations or explore the premier collection of Dorflinger glass. A delectable farm-to-table prix fixe brunch featuring live music, complimentary bottomless mimosas and omelet station awaits at The Settlers Inn. The meal is $39 per person and reservations are strongly recommended. Check out the Flaxy Morgan Band live on Keystone Street in Downtown Hawley. Held at the Cocoon Coffee House at Hawley Silk Mill, this is the event to be at for delicious mojitos crafted from fresh local fruit, mint, and Don Q Rum. Plus, the bar itself is made of ice, which only enhances your experience! The Mill Market Bakery in Hawley Silk Mill will be sharing their best local cheeses and house-made bread with visitors. Yum! Come cruising down Church Street with DJ Ricky Z, the pilot of the airways. Between 50-75 cars of all makes and models will be on hand, so come by and take a look down memory lane. Kick up your Saturday night with Rob Viola live in our pub! Feast on blueberry pancakes, scrambled eggs, French toast, bacon, and other breakfast favorites at the Blooming Grove Twp. Vol. Fire Department. The cost is only $8 for adults and $4 for children 10 and under. Children under 3 eat for free! Choose between a 16-mile or 32-mile bike ride out to the beautiful Zane Grey Museum in the Upper Delaware Scenic and Recreational River Park. Don’t forget to pre-register online in advance! The first 50 attendees will receive a free T-shirt. If you don’t have your own bike, you can rent one for $35. This is your chance to see and even climb aboard the latest in watercraft, pleasure, pontoon, ski, and wakeboard boats. A BBQ food truck and free face painting will also be available. Held in the Lake Wallenpaupack Visitors Center, this popular event features pottery, painters, emerging artists, organic goods, wood crafts, photographers, local jewelers, and much more! Browse among a wide variety of gifts, crafts, foods, keepsakes, art, and so much more. Dozens of crafters and local artisans and shops will be showcasing their treasures at the Wallenpaupack Area High School. Take a stroll into Downtown Hawley and enjoy our small town charm and big city culture. As you’re browsing through the shops or dining in one of the many restaurants, you can also partake in “hometown” games hosted by several local businesses throughout the day. The Mill Market Bakery in Hawley Silk Mill will be sharing some tasty treats with their visitors! Selections will be announced soon. As a part of the Lakeside Live Series at The Dock on Wallenpaupack, Sean O’Flynn will be performing on the expansive 100-foot deck. Don’t forget to take advantage of the deals including a Bloody Mary bar from 11:30am to 4pm or a Bud Light and burger for only $10 from 4pm to 6pm. The Blues, Brews, and BBQ event is one of the best ways to bring Wally Lake Fest to a close. While listening to the Scott Weis Band play, you’ll have the chance to indulge in mouthwatering selections from the grill, picnic fare sides, and craft beer from a local brewery. The serenity and stargazer decks will also be providing cocktails and music from regional blues bands. This experience is $32.50 per person and reservations are strongly recommended. There is no cover charge for cocktail service on the Serenity and Stargazer Decks. Need help getting around? There will be a free shuttle service on Saturday and Sunday to transport guests to all of the Wally Lake Fest locations and activities. Need a place to stay for Wally Lake Fest? Hawley is home to several wonderful hotels and resorts, some of which will be a part of all the Wally Lake Fest fun. Just to help you get started, here are some suggestions based on your needs and group size! The Settlers Inn: The Settlers Inn is a charming Arts & Crafts style lodge that also boasts one of the best farm-to-table restaurants in Hawley. The cozy and thoughtfully-decorated guest rooms are ideal for couples or small groups seeking a peaceful and romantic place to unwind after a full day of Wally Lake Fest activities. Ledges Hotel: These modern accommodations are perfectly equipped with highly-appointed amenities and panoramic views of the river gorge and falls. You can also choose between one-bedroom and two-bedroom suites that feature more space for small groups and families. Silver Birches: Silver Birches is a lakefront resort that offers a wide variety of vintage-style accommodations. They’re also one of Wally Lake Fest’s presenting sponsors! Couples and smaller groups will benefit from the cozy standard king/queen rooms, suites, and deluxe rooms. The Bunkhouse and Cottages are also great options and feature two bedrooms, spectacular lake views, and a wide variety of comfortable amenities. Welwood Bungalow: Located just a short walk from The Settlers Inn and Ledges Hotel, the Welwood Bungalow features a private setting, three spacious bedrooms, a fully-functional kitchen, and much more. Silver Birches Houses: The full-sized houses at Silver Birches Resort are the perfect home-away-from-home for your next Hawley vacation. They can sleep 6-10 guests and provide plenty of space for everyone to relax and unwind together. The Fairview House is the largest and most luxurious of all the homes and can sleep up to 14 people! During your stay, you’ll enjoy an indoor heated pool, a game room, home theater, and full property privileges at Silver Birches Resort. While you’re participating in all the Lake Wallenpaupack events, we invite you to visit our vibrant lifestyle center in Hawley, PA. Our historic factory has been a beacon of the Hawley community for years. Browse through our unique and eclectic shops for the perfect gifts and souvenirs. Delight your inner artist and view masterpieces from around the world in the art gallery. Attend our wide variety of fun-filled events such as pop-up restaurants or cooking classes. Whatever you decide to do, you could spend an entire day enjoying everything our center has to offer.